The Dim Sum Diaries | Honi Honi | "One cannot think well, love well, sleep well, if one has not dined well." Almost as fast as restaurants keep popping up, recently, more and more bars have been opening across the city, each battling to have their own unique edge, complete with a slice of that ever-prized outdoor space that most of us crave here in Hong Kong. Although new openings excite me, I often find that there’s a lot of repetition and new places almost seem like clones of each other. 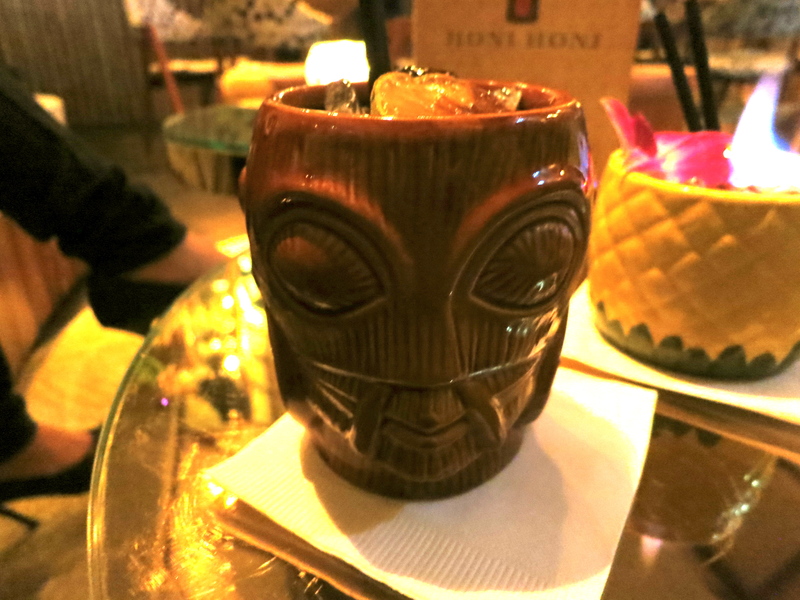 Honi Honi, which recently opened its doors, however, is most definitely one of a kind, as it takes the prize for Hong Kong’s first and only tiki cocktail lounge, bringing an air of Polynesia to our very own Wellington Street. 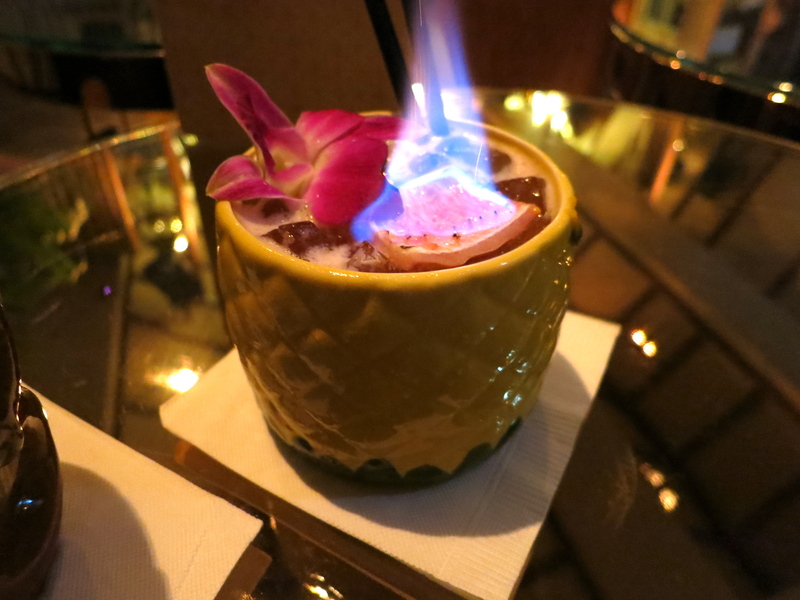 Honi Honi was set up by Max Traverse, formerly head bartender at Le Boudoir, before which he had over a decade of experience in top bars in both France and London. Apparently Honi Honi, named after a Polynesian greeting meaning ‘kiss kiss’, all stemmed from Max’s serious love of rum and all things rum, along with his desire to create a relaxed environment where he could really get to know his clientele and serve them personalised cocktails, each presented in adorable glasses. If you remember Fifty2 Lounge, which stood in the very same place, you will be utterly amazed at just how much the space has been transformed. It has quite literally become a tropical paradise, complete with bamboo, palm trees, bright colours and patterns, that feels so far removed from Hong Kong’s bustling city. And with a beautiful terrace to enjoy these cooler evenings, almost every sofa and mango tree stool was taken by the time I arrived at 6.30pm, forcing us into a cosy, comfy corner inside. 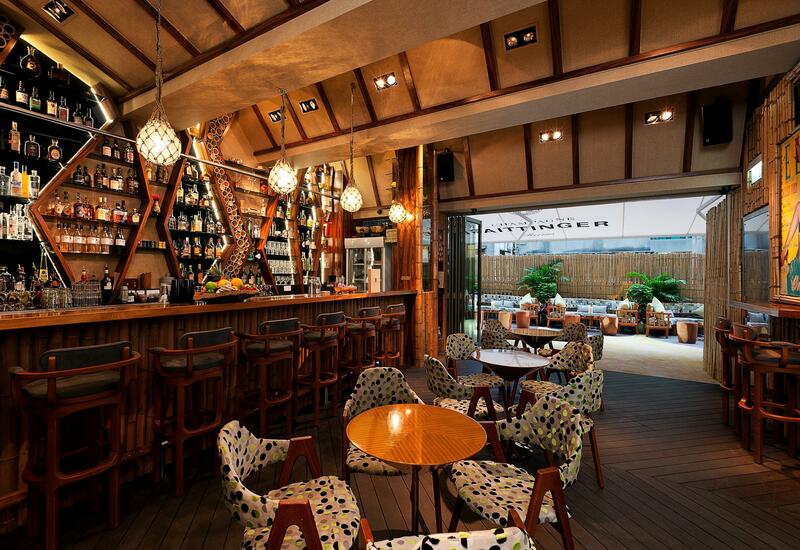 The menu is vast, with a wide range of cocktails made with premium spirits and fresh tropical fruit. I ordered the Three Wise Monkeys, a refreshing and spicy blend of Sailor Jerry spiced rum, ginger liqueur, fresh lime juice, fresh ginger and fresh apple juice that was the perfect pick me up after a tiring day at work. Max showed his skills of knowing his customers, however, as alongside my Three Wise Monkeys, he also brought me a Tropical Storm, made with Grey Goose vodka, passion fruit puree, elderflower syrup, fresh guava nectar and fresh strawberries. It was as if Max had known me forever, as this was definitely my kind of drink; give me anything passion fruit and I’m in heaven. 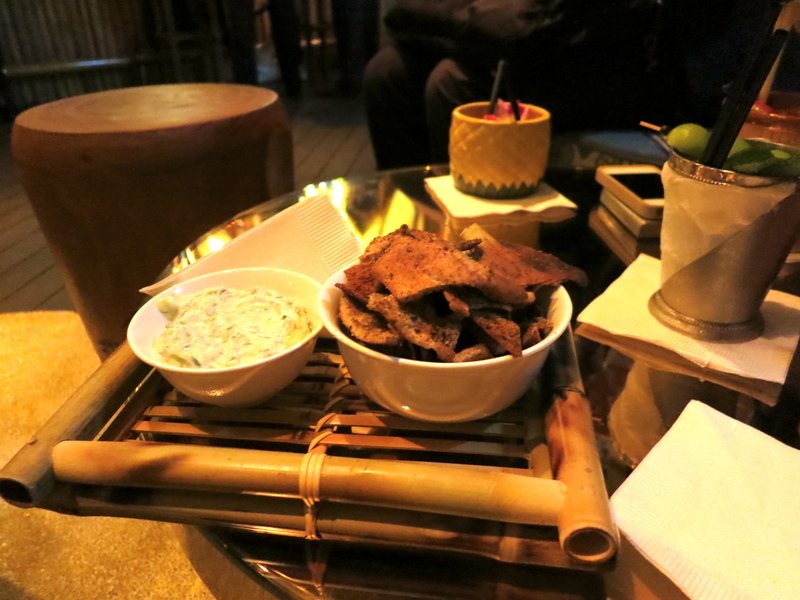 To soak up these surprisingly potent cocktails, Honi Honi has a small but tasty snack menu. 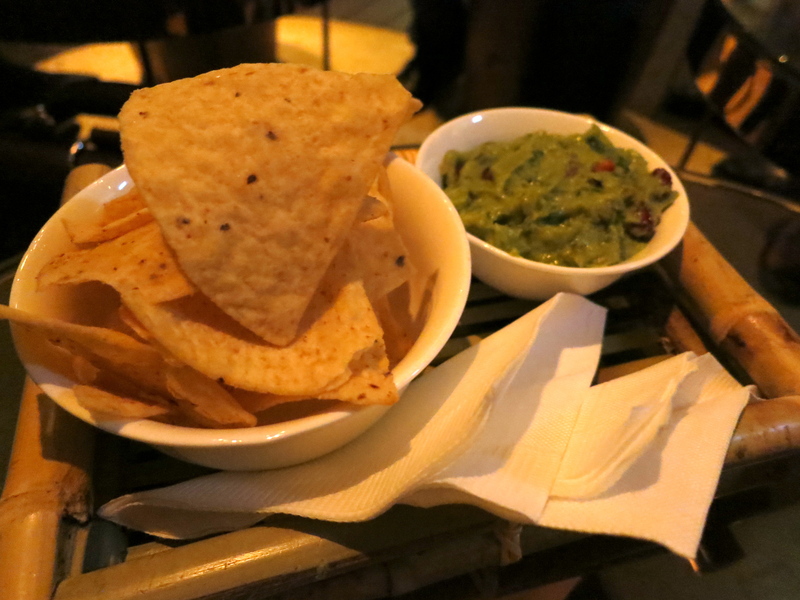 The pomegranate guacamole with tortilla chips was absolutely divine, packing a subtle yet significant punch. Heirloom taught me about pomegrantate and guac, and since then I don’t think I could have it any other way. We also tried the tzatziki with toasted bread. Although this was a little too laden with dill, it was nevertheless fresh, tasty and far too moreish. 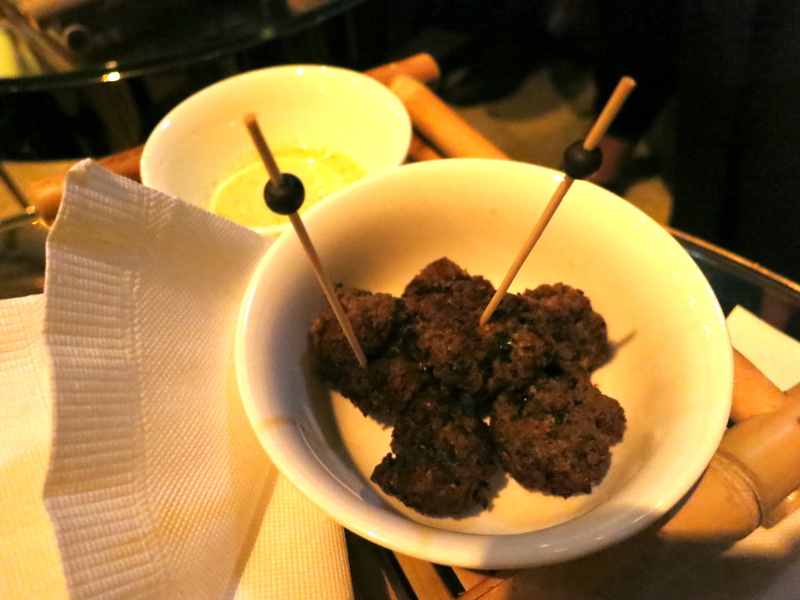 My favourite of the snacks we tried, however, were the meatballs and sauce, lamb and beef meatballs packed full of flavour and served with a delicious minted yoghurt sauce. Fortunately there were a couple of vegetarians around the table and I figured if they weren’t eating their portions then someone had to…! 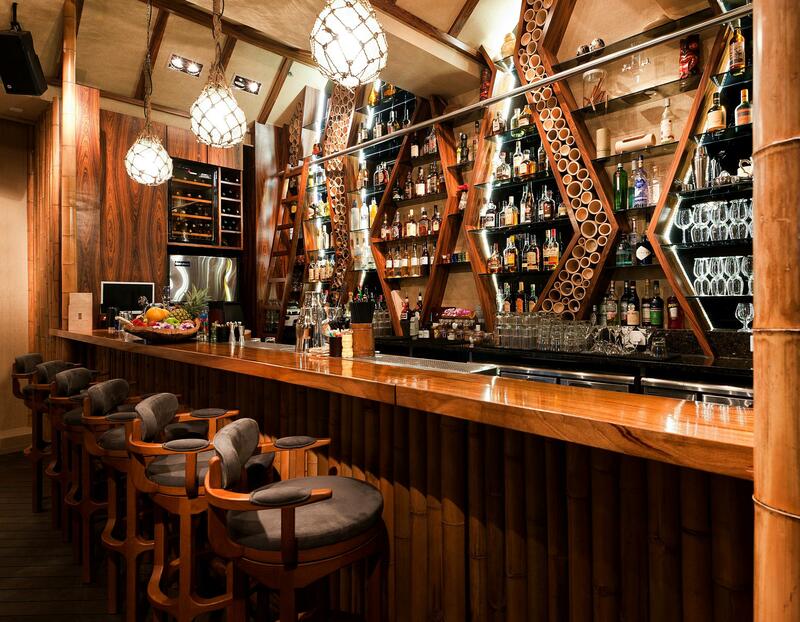 Honi Honi is by far the most exciting bar that has opened in Hong Kong of late, and they have plenty of exciting ideas up their sleeves, both for when the weather gets cooler, and then when it starts to really warm up again. I’m intrigued to see what the shower on the terrace is for. As far as prices go…. well they aren’t exactly cheap. Cocktails range from $110 to $2888 for an Around the World, which includes five different kinds of rum, fresh guava and lime juices, cherry liqueur and a whole bottle of Tattinger! Thinking about it, for all that, it might actually be worth it. It warns you though, – ‘don’t try this alone’!